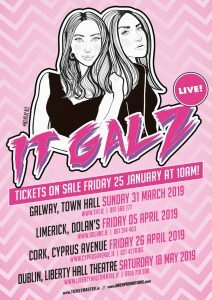 Following their sold out shows in September and December of 2018, due to popular demand IT GALZ are proud to announce their National Irish Tour 2019. 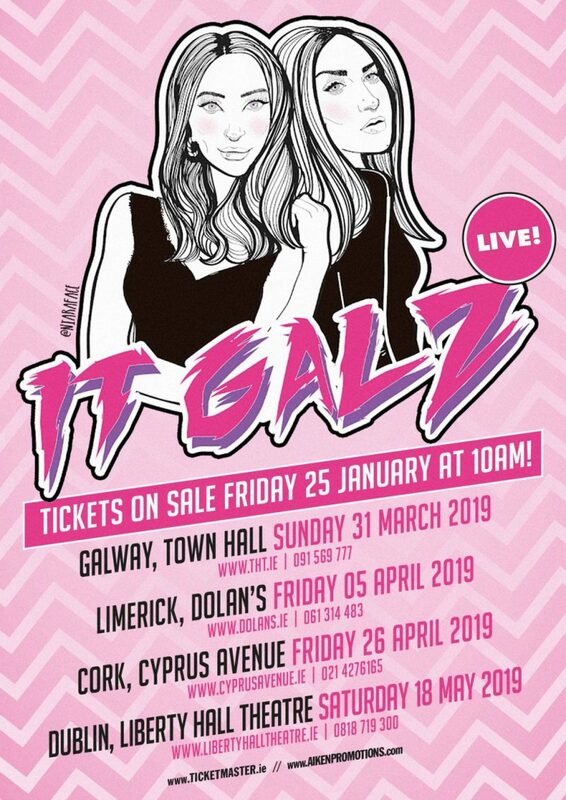 Kicking things off in Galway Town Hall, stopping off in Limerick, Dolan’s then onto Cork, Cyrus Avenue and ending in Dublin’s Liberty Hall Theatre. IT GALZ Podcast is a dose of cultural commentary by Jenny Claffey and Lindsay Hamilton. The ladies give their personal takes on a variety of topics from pop culture to women’s issues, through their often comedic and sometimes satirical lens.